dealsfromheaven2000 has no other items for sale. Canon Photo Paper Plus Glossy II 4"x6" NEW IN BOX 100 Sheets FREE SHIPPING!! The Canon PIXMA MP470 All-In-One InkJet Printer is fully compatible with PC, Mac systems. This printer connectivity interface: USB 2.0. FIRST Page Out Time 2.7sec. We had an MP160 prior to this and it was noisy and slow. The MP470 is quiet and fast. We don't use it for photographs, but the quality of what we do print is excellent. 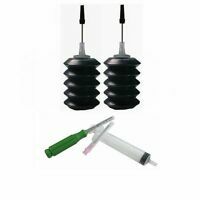 The ink cartridges are too expensive, but you can buy aftermarket cartridges, refill kits or bulk ink. There are functions whereby you can print in a rough draft mode and save ink. The color ink cartridge is used, even when you print in black only. It was the same way with the MP160, and that is my least favorite aspect of this printer. It looks good and is worth the price at $60.00 (including shipping). My husband got a new digital camera and we wish to develop the pictures at home so I got on-line for a printer. This is easy to use and has many features we love. We also can copy and scan. I like it because it can be independent of my computer printer or later hook it up to my computer but my husband is computer illerate so this is a great item for him to use. The pictures come out clear and great colors. The ink is cheaper than my computer printer so this helps. We needed a copy of an important paper and it did a great job and my husband did it himself. Thank heavens I can find almost any item I want at home without running to different stores and trying to compare prices which I can do online. What i like on this all in one machine is that is very easy to use, can print thousands of copies with only 2 inks. Price is very good,for the capabilities of this machine. The scanner has a high resolution and most importantly is accurate on what it scans,same applies for the copies. I've decided to buy this,first of all because i know Cannon printers are very good and maybe the best on the printer line.Its the 3rd canon i buy and i have used other brands too. Ink last long and prints lots of copies. The LCD Panel is very good to monitor some progress, and very helpful during first time installation Generally MP470 all-in-one printer is a cheap machine that does server you in full and more that you can ask from a printer. I am very pleased about this one, and i am gonna buy another one,if i ever need another.